After receiving an urgent e-mail from a contact in Australia informing me of bizarre weather on the weather satellite imagery, I checked out the data and just hours later more strangeness. I am waiting to hear from the Australian Government’s weather bureau for their own explanation. Written at 2230 Hrs (US Eastern) 15th January 2010. 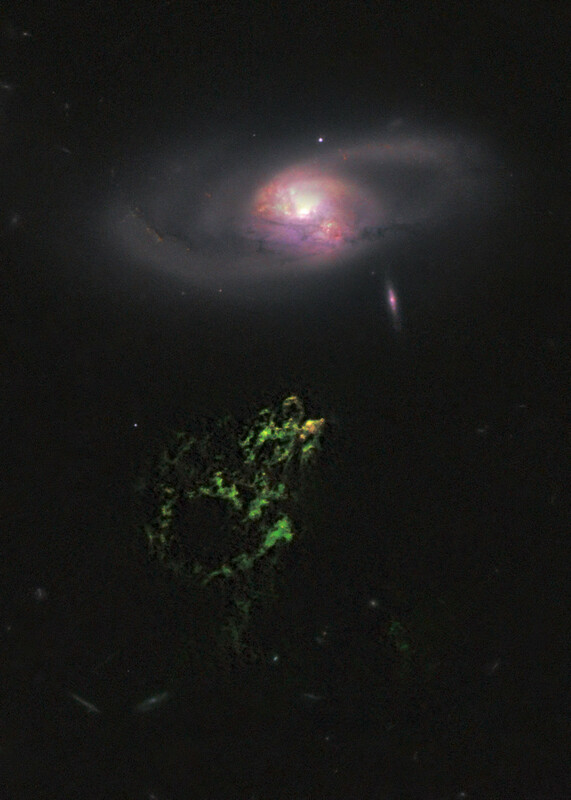 The Hubble Space Telescope got its first peek at a mysterious giant green blob in outer space and found that it’s strangely alive. The bizarre glowing blob is giving birth to new stars, some only a couple million years old, in remote areas of the universe where stars don’t normally form. The blob of gas was first discovered by a Dutch school teacher in 2007 and is named Hanny’s Voorwerp (HAN’-nee’s-FOR’-vehrp). Voorwerp is Dutch for object. That makes these “very lonely newborn stars” that are “in the middle of nowhere,” said Bill Keel, the University of Alabama astronomer who examined the blob. A federal judge has ruled that the Department of Homeland Security can keep images produced by x-ray body scanners out of the public domain, in a blow to privacy group The Electronic Privacy Information Center’ s (EPIC) efforts to release more than 2000 of the images that show intimate details of airport travelers’ bodies. Judge Ricardo Urbina ruled that the DHS does not have to comply with the Freedom of Information Act request to disclose the naked images of those who were screened at airport checkpoints, nor does the government have to release any other related materials. In “Freedom in the World 2011” the Washington-based Freedom House said it had documented the longest continuous period of decline since it began compiling the annual index nearly 40 years ago. “A total of 25 countries showed significant declines in 2010, more than double the 11 countries exhibiting noteworthy gains,” the group said. “Authoritarian regimes like those in China, Egypt, Iran, Russia, and Venezuela continued to step up repressive measures with little significant resistance from the democratic world,” it said. 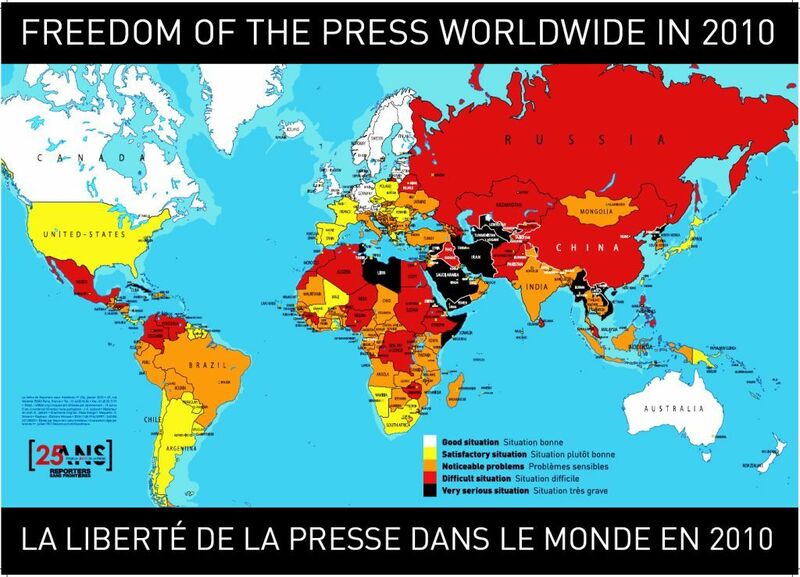 The report classifies countries as free, partly free or not free based on individuals’ ability to exercise political and civil rights, taking into account political systems and other factors like war and crime.